Make your next event MAGICALLY FUN with the magic of ANTHONY WHITE! Utah's FUNNIEST Kids Show Magician! 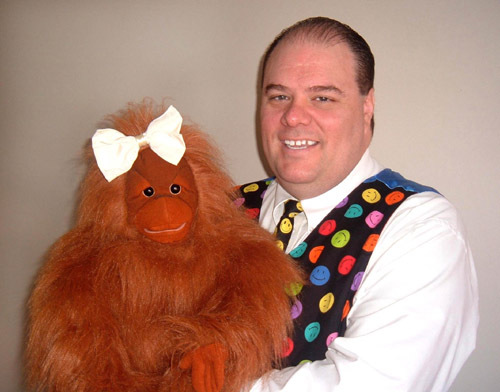 He performs shows for children in the Salt Lake Valley and surrounding areas, especially birthday party magic shows. Magic Shows are great for all your occasions! Make your birthday party the talk of the neighborhood. Be the hero of your family reunion. Fantastic for church parties and great for Scout meetings! magic show for your next special event! Magic Shows are also engaging and entertaining ways to educate! school assembly, daycare or preschools and libraries. Provide the best entertainment for your city or community event! "Read to Achieve," "Stranger Danger," and "Wacky Science Magic!" Anthony is a professional full time Magician who is available to perform magic shows in the Greater Salt Lake area including Salt Lake City, Murray, Holladay, Millcreek, Cottonwood Heights, West Valley City, Taylorsville, Magna, Kearns, West Jordan, Sandy, Draper, Riverton, South Jordan, Herriman, Bluffdale, Eagle Mountain, Lehi, Alpine, Highland, Park City, Heber City, North Salt Lake, Farmington, Kaysville, Bountiful, Woodscross, Ogden, Layton, Clinton, Riverdale, Roy, Centerville, Brigham City, Orem, Provo, Springville, Spanish Fork - all areas in Salt Lake County, Davis County and Utah County. Hire the best magician in family entertainment to make your next special event magically fun! Anthony uses lots of magical props, puppets and live bunnies! Anthony has been performing magic shows for children and their friends and family for over 10 years. He is a full time professional magician who performs hundreds of shows a year, he is great with kids and adults, and makes every show unique. He handles shows and parties of all sizes from small groups to large church and company parties. Make sure your next party has the best in family magical entertainment!